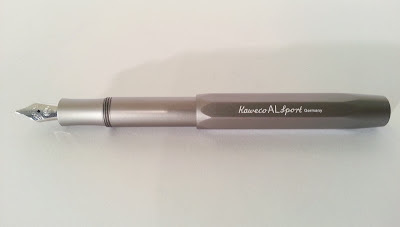 This is the second Kaweco pen that I'll be reviewing. 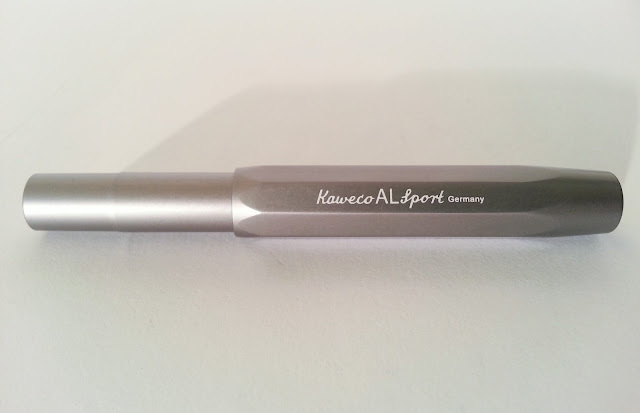 I bought it on a pen show in Holland, not knowing that a few years later, it would become an extremely popular pen. I didn't even know the brand back then! 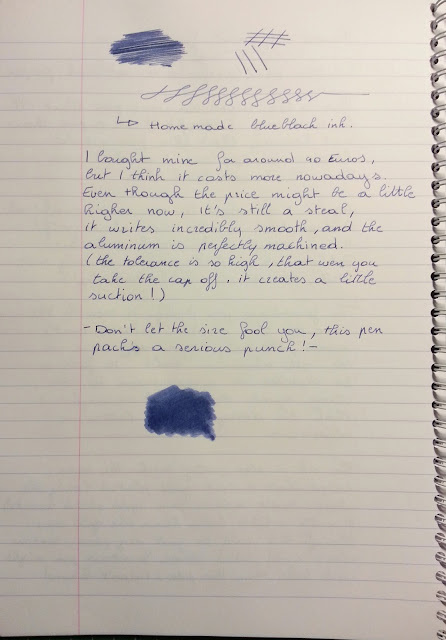 Again, I decided to use a special ink for the written review. And yes, I did also make it myself! 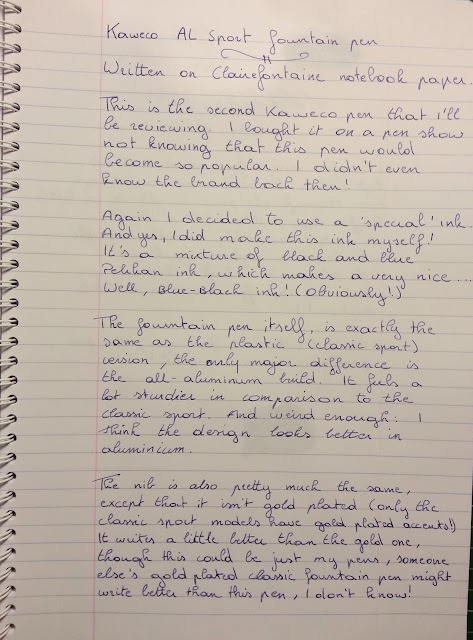 It's a mixture of blue and black Pelikan ink, which makes a very nice... Well, blue-black ink, obviously! 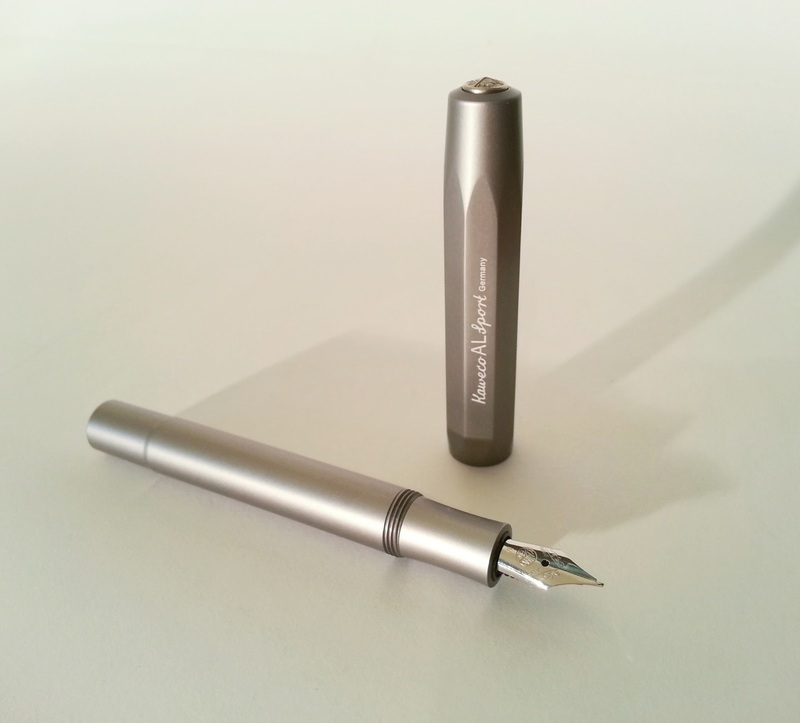 The fountain pen itself, is exactly the same as the plastic (classic sport) version, the only major difference is the all aluminum build. 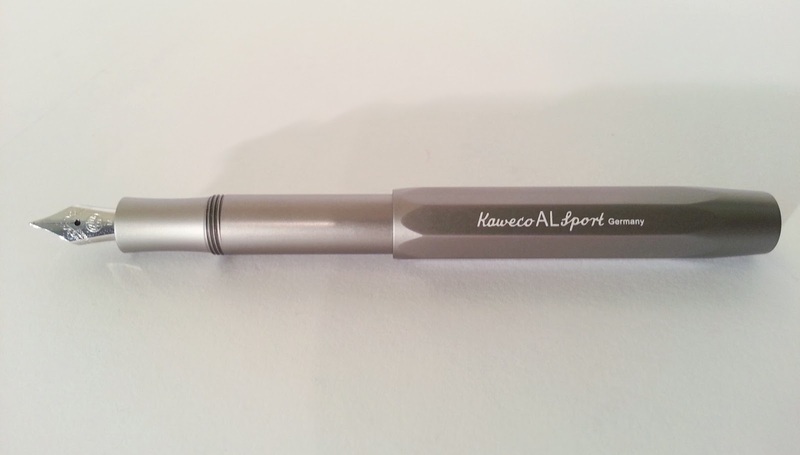 It feels a lot sturdier in comparison to the classic sport. And oddly enough, I think the design looks better in aluminum! The nib is also pretty much the same, except that it isn't gold plated (only the classic sport pens have gold plated accents!) It writes a little better than the gold one, though this could be just my pens, someone else's classic sport fountain pen might even write better than my AL sport, I don't know! I own two and I love them. They've become my go-to pen for carrying around. 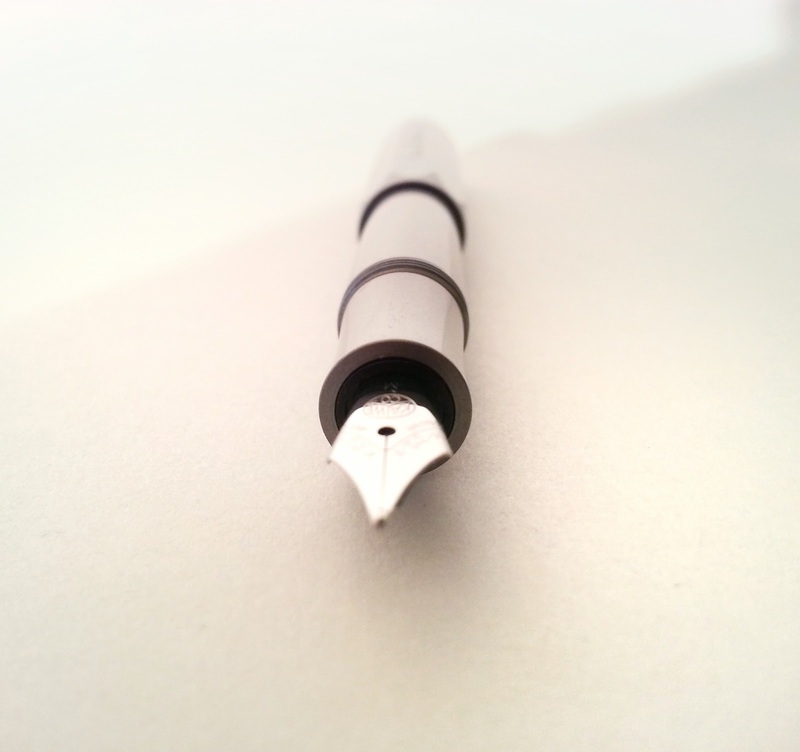 The ink is there when I need it, never scratchy or skipping. With a small notebook in my bag, I'm set!